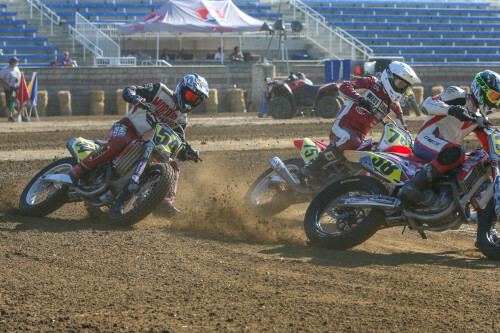 Stephen Vanderkuur had a big year right out of the gate when he first came on the professional flat track scene in 2009, getting his first career win at the Illinois State Fairgrounds. The 2012 season was his big breakout season as he had nine top-5 finishes, led numerous laps throughout the year, won three main events, and won the 2012 GNC2 title. Riding the AMSOIL/Hodder Racing Kawasaki Ninja 650 in the Twins class for the 2018 American Flat Track season, Vanderkuur has only raced in one main event, taking 16th place at the Red Mile. 2017 Stephen Vanderkuur began racing in the AFT Twins class for the 2017 American Flat Track season and came in 43rd in the standings for the year. 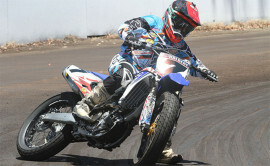 He made it to one main event during the season, taking 15th place at the Springfield Mile II. 2013 Finished third in the GNC2 point standings. Recorded five top fives and three pole positions. 2012 Had a breakout season which included 12 top 10s and nine top 5 finishes. Earned pole position and led the most laps on numerous occasions. Came up big when he needed to the most during the last race of the season at Pomona, winning his third race of the season. Other two wins came at the Indiana and Sonoma State Fairgrounds. 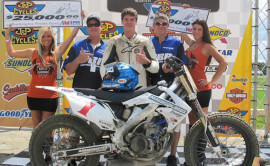 2011 Competed in select AMA Pro Singles main events. Made three top 5 finishes including his lone podium appearance at Peoria where he placed 3rd. 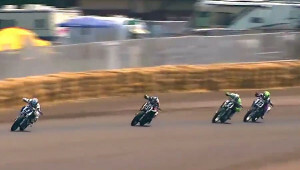 2010 Started just two AMA Pro Singles main events. 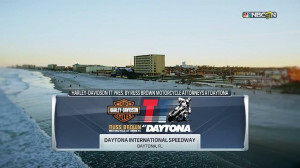 His third and fourth place finishes at Daytona proved to be his only action of the year. 2009 Big year right out of the gate, finishing 6th in the AMA Pro Singles point standings in his first year on the circuit. First career win came at the Illinois State Fairgrounds where he started from pole position. Went on to win his very next race at Volunteer Speedway where he one-upped himself, claiming pole position and leading the most laps.